As Janet explained in her post earlier this week, being a certified company involves meeting a range of standards and requirements. 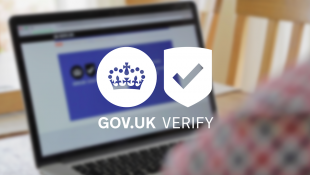 These include being certified by an independent body to confirm the service meets government standards for identity assurance. Under our existing contractual framework, the certified companies have to be certified by tScheme. We want to expand the range of bodies that are accredited to do this work so that there's a range of bodies that can meet a growing demand for certification services. We’ve been working with the United Kingdom Accreditation Service (UKAS), the body responsible for accrediting independent certification bodies in the UK, to look at how this can be achieved. UKAS is going to carry out a pilot programme to assess organisations interested in becoming accredited. UKAS is inviting organisations to contact them with initial expressions of interest. Their deadline is 15 December, so interested organisations will need to get in touch quick if they want to take part. Details are available on the UKAS website.